Graphic design and branding are not ‘one size fit all’ concepts. With Americans being inundated with solicitations from various charities you need yours to stand out. Don’t assume that having a worthy cause is enough to meet your fundraising goals; it’s crucial to have materials that effectively communicate your message in an engaging way. Let’s explore some of the common mistakes graphic designers make when fundraising is involved. Your printed materials are going to potential donors, so why make it more difficult for them to give you money? The process should be straightforward and the description immediately accessible, and the form or other means of donation relatively simple. Put space-hogging infographics on another page, and if you want to have donors complete surveys or provide additional information save that for a follow-up! It should be easy for interested parties to locate your organization/drive’s Facebook, Twitter, etc. Social media is an inescapable part of our lives, and potential donors may feel more comfortable donating if they feel connected to your organization. If they become linked with you on social media that also provides excellent opportunities to notify them of follow-ups and other news. The buttons and logos of major social media networks are immediately recognizable, so take advantage of that. Social media also makes it very easy for donors to share information about your organization with their friends. Your fundraising materials should spark interest and the graphics should have some relation to your fundraising. You don’t want people to puzzle over your image choices; you want the graphics to grab and hold the attention, and to reinforce the written message. While you want to maintain consistency and familiarity, you don’t want people to feel like they’re seeing the same thing over and over again. If data is available from past efforts make a non-intrusive chart or graph to communicate that information. This also strengthens your material by showing past efforts and goals, how money was spent, or other information as applicable to your organization. A graphic designer is there to complement the organization’s efforts, not to organize the fundraising itself. A collaborative process involving the fundraising leaders is key. A good graphic designer will take time to identify your needs, goals, and determine the most effective way to communicate those to others. 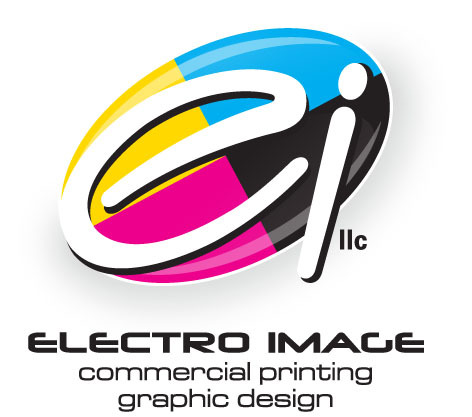 Electro Image LLC has been serving customers in the St. Louis area and beyond since 1999. 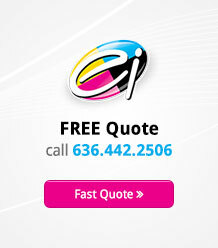 With in-house graphic design, offset and digital printing capabilities to service industries coast-to-coast, and shipping throughout the US, they are a one-stop shop for organizations looking for high quality, low priced print communications.